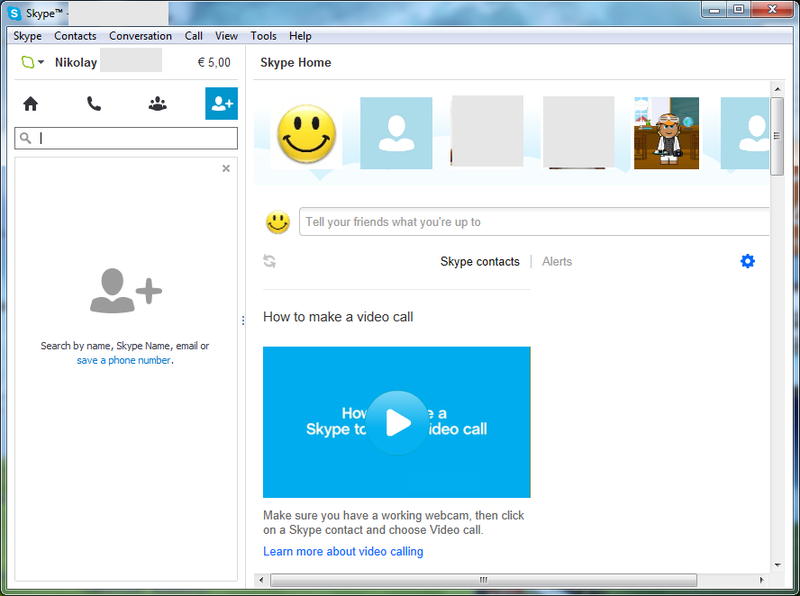 On the 13th of February 2013, Skype released the 6.2 version of the program. Basically the changes in this version are not very significant. It seems that the biggest of them (not that it is big) is the ability to send an eGift to our contacts that have a birthday. 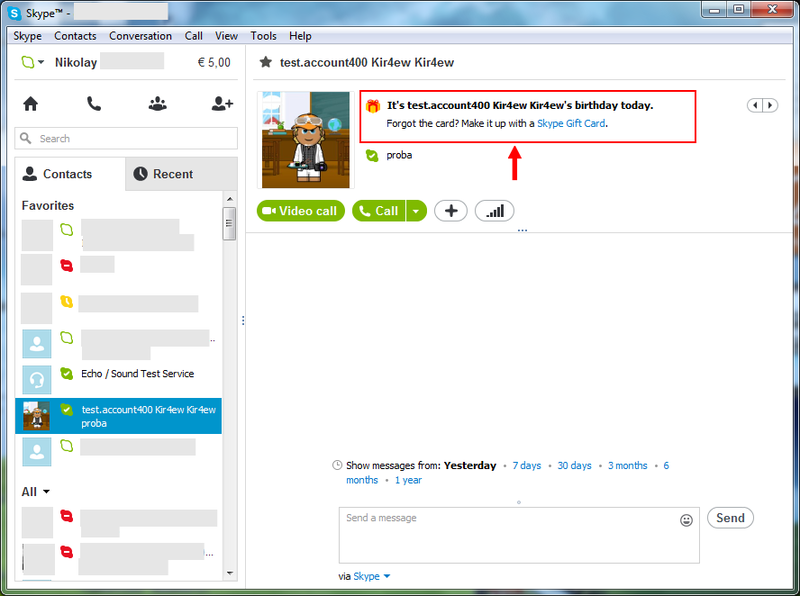 This means that you can send some Skype credit as a birthday present. By the way if you want to see the uses for the Skype credit, you can do it on this page. And if you want to see how to buy it, I have described it in this post. Another change, that might interest some of you, is the return of the option to use Ctrl + Enter to send a chat message (instant message). 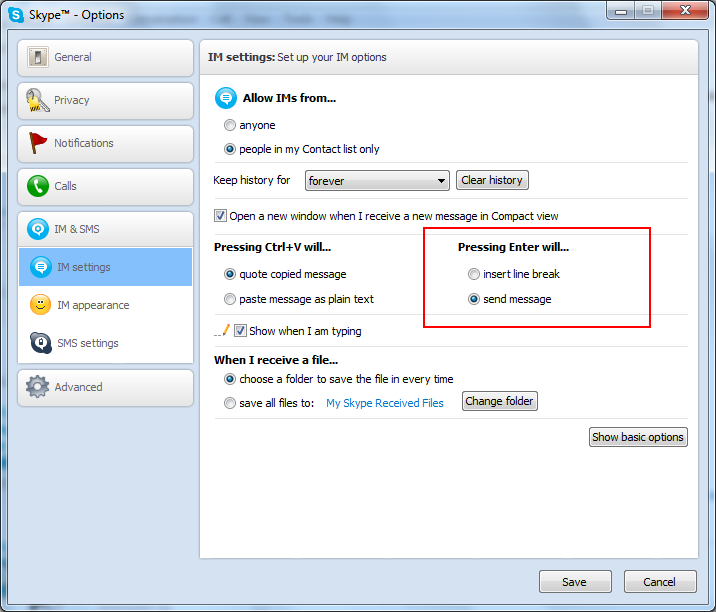 This setting was removed in Skype 6.0. What is new Skype 6.2? Computers with an Intel Pentium 3 processor (as well as others that do not support SSE2) are no longer supported. As well as other small cosmetic changes and fixed bugs. A have a trouble creating an account, or I don’t know if the fault is from my iPad. Hi. Try creating an account from a desktop computer and then use the account on the iPad. Well it took a long time to download. Hi. Sorry about that. It might be that you are in a country that my hosting does not connect well with or maybe my hosting was at this moment overloaded, which happens sometimes. Could you try again and tell me if it is fast now and also where are you located? Earliest version I can install. Everything below 6.2 does not work.